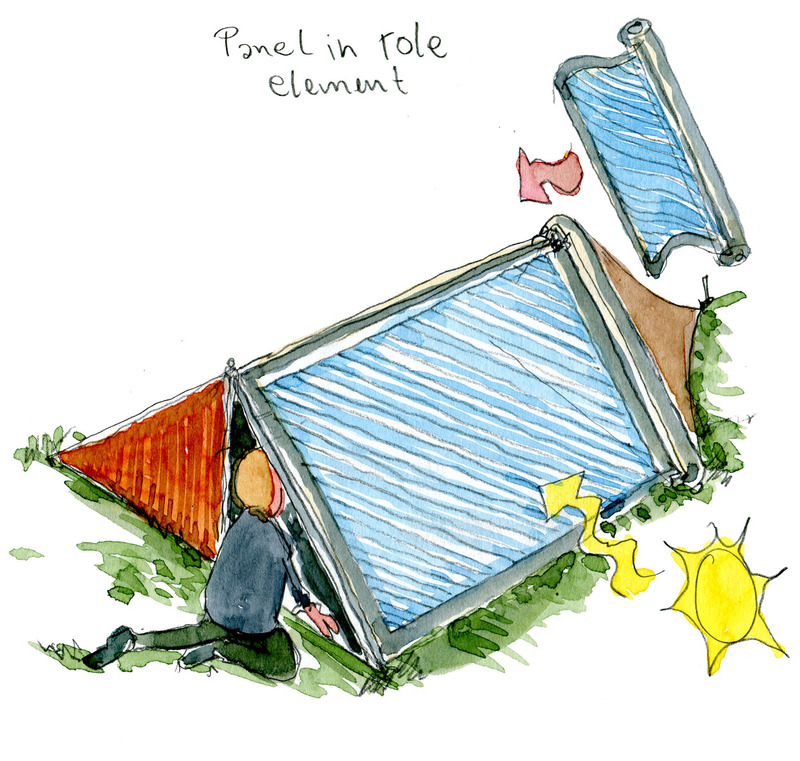 Here’s an idea / concept where the solar panel is carried in a separate tube, that can be attached to a frame to build a tent, but also used alone. 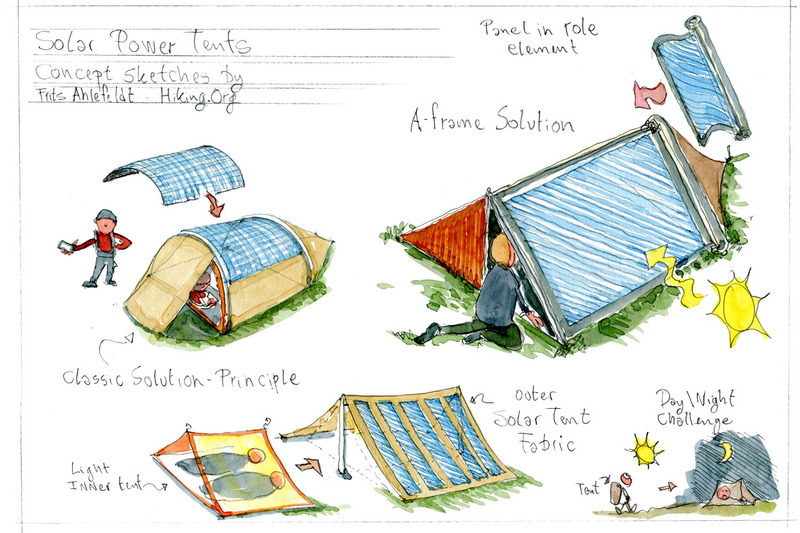 Tent with solar power panels integrated in fabric, and a detachable light inner tent. 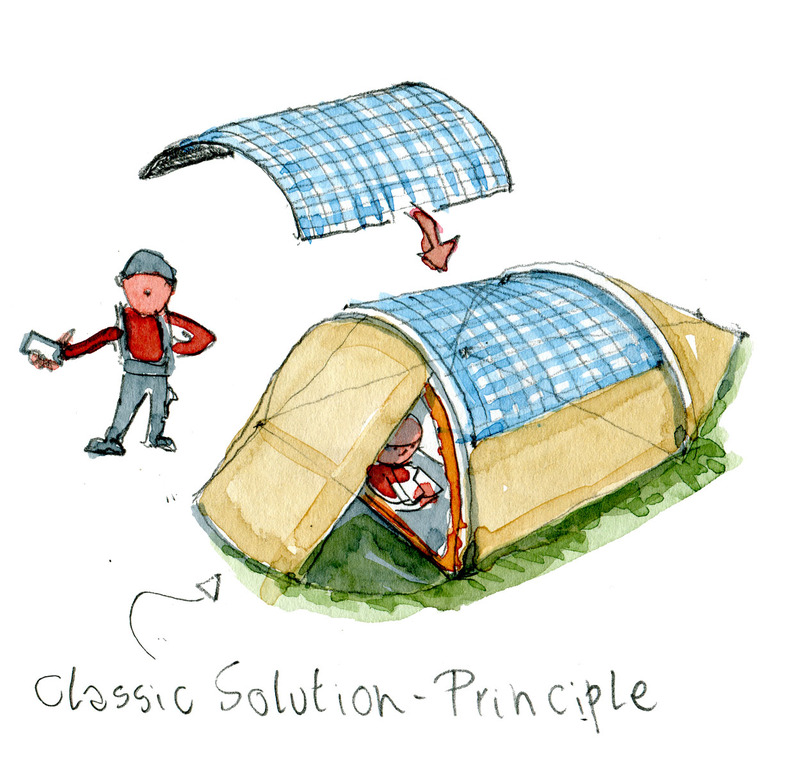 Concept sketch and idea by Frits Ahlefeldt – outer part could be more permanent placed, and hikers could only carry their personal inner part between dedicated places with the outer part all ready in place in these locations.